Associate Professor Walsh has been a member of the Council since 2012. He is a Visiting Medical Officer (Anaesthetics & Medical Perfusion) at the Royal Prince Alfred Hospital, Strathfield Private Hospital, the Mater Hospital Sydney and the Macquarie University Hospital. He holds the positions of Clinical Associate Professor at Macquarie University and Adjunct Associate Professor at the University of Sydney. He is the former head of Cardiothoracic Anaesthesia and Medical Perfusion at Royal Prince Alfred Hospital, and is a Fellow of the Australian Society of Anaesthetists. Professor Walsh was the Deputy President of the Council. Dr John Sammut has been appointed Deputy President of the Council. Dr Sammut has been a member of the Council since 2014. He is currently the Director of the lntensive Care Unit at Canterbury Hospital. He has been a representative of the Primary Examination Committee for the Australasian College for Emergency Medicine since 1998. The two new Council members are:. Dr Brieger holds an appointment at the Mater Hospital and is in private obsteric practice. 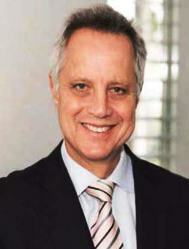 He has been practising medicine for over 30 years and has been a specialist for 22 years. He has been a Fellow of the Royal Australian and New Zealand College of Obstetrics and Gynaecology since 1995, and has worked as a senior consultant in obstetrics and gynaecology at Royal Prince Alfred and Royal North Shore. Dr Tompsett has been a Visiting Medical Officer in General Surgery at the Hawkesbury District Health Service since 2000, and is a Fellow of the Royal Australasian College of Surgeons. 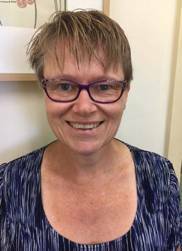 Dr Tompsett is the Chair of the Medical Staff Council, Medical Advisory Committee, and Medical Appointments Committee of the Clinical Advisory at Hawkesbury Hospital. She is currently an instructor in Early Management of Severe Trauma for the Royal Australasian College of Surgeons and has also worked as a Clinical Examiner for Basic Surgical Training. View a full list of all 19 Council members.